Liteform has poured a concrete parking lot only two inches thick over two inches of EPS foam. Dosed at 20 lbs of Helix per cubic yard, the slab has supported the staff’s cars and trucks with no issues and the EPS foam provides frost heave protection from the soil under the slab. 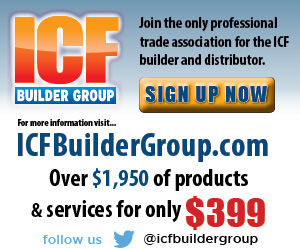 Over the past few years, the ICF design and construction industry has worked to simplify construction and reduce costs. For example, better block designs, scaffolding systems, and even monopour methods have been developed to reduce installation time and costs. 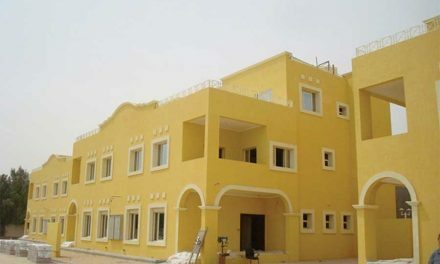 Now, steel fiber admixtures give ICF builders and designers the option of replacing some or most of the structural rebar in walls, slabs and suspended concrete floors. This promises to reduce cost and time as well as creating stronger concrete. The leading steel fiber admixture is Helix micro rebar which the company calls twisted steel micro-reinforcement (TSMR). It is billed as a “one-size-fits-all” product that deals with both temperature and structural steel reinforcement requirements. Helix is composed of one-inch-long strands of twisted 245 KSI carbon steel, electroplated with zinc for corrosion resistance. Stainless Helix is also available. The twisted shape allows Helix to behave much like a screw in a wood plank. Just as it’s harder to pull screws out of a board compared to straight nails, the same analogy holds for concrete. To ensure even distribution throughout the mix, Helix must be added gradually to the mix. Here, a 45 pound box of Helix is emptied into a wire ‘shaker’ cage so fibers individually slide down the hopper to the turning drum. Because the recommended “dosage” is one-third the rate of traditional steel fibers, Helix flows very well, and avoids damaging pumps. (A typical Helix dose would be 18 lbs. of Helix per cubic yard of concrete compared to 60 lbs. of any other fiber.) Even at double the normal rate, no problems are reported. The Seattle Pier 57 extension was poured at 31 pounds of Helix per cubic yard. It was pumped over 800 feet using two pumpers and slick lines with no problems encountered. Helix is added to the concrete truck at the batch plant or on site. Mixing at the plant is the preferred method. Helix micro rebar can be added before or after the truck is loaded with concrete but the best option is to add 15 gallons of water into an empty truck, add the Helix, and then the concrete. It is important to shake the Helix out of the box into the truck and not just toss the Helix into the truck in a lump. Lumps in will create lumps out. Standard concrete finishing tools and methods are used with Helix, as it will lay flat in a slab and not poke out of the cream if done properly. Experienced flatwork contractors advise, “When finishing a Helix slab, get the finishing work done and walk away. Do not overwork the slab as the cream layer gets thinned out and some Helix fibers may be visible.” As noted above, the product has to be shaken into the concrete truck per the manufactures recommendation or the potential for concrete balls increases. Steel and synthetic fibers have been in use for years and come in many shapes, materials and sizes. They have been used with varying degrees of success and are not approved for replacement of structural reinforcement unless extensive testing is competed by certified laboratories. Nearly all steel fibers are limited to replacing temperature crack control steel reinforcement (rebar/mesh) in concrete. At present, Helix is the single exception, and can be used as replacement for structural reinforcement under the provision of ACI 318 section 1.4. This section allows new materials of construction, such as Helix, to be to be used in lieu of code-specified reinforcement after undergoing a period of development and testing before being specifically covered in a code. Both the IBC and IRC codes reference this ACI 318 section to allow the use of Helix Micro Rebar. To satisfy the ACI 318 requirements, Polytorx LLC, which manufactures Helix, contracted with an internationally certified IAS/ICC laboratory to perform a series of tensile strength tests. and mesh in both structural and non-structural applications. At this time, the use of Helix is covered for Class A and Class B structures under ESR 3441 and ER 0279. Class C structures that use Helix micro rebar are covered under Helix Design Method Evaluation Report dated March 7, 2013 and require a professional engineer stamp for the specific structural design, which can be obtained in all 50 states and Canadian provinces. As seen on the chart, Helix Micro Rebar performs favorably when compared to traditional structural steel. Because TSMR is distributed throughout the matrix, it carries load both before and after the concrete develops a visible crack. Micro reinforcement is proactive reinforcement that also acts as reactive reinforcement at higher strain levels. In other words, when concrete fails, cracks form up to a millimeter in width before the rebar can take the tension load. In a Helix system, micro fissures form at the 10 micron width before the movement of the concrete is stopped and the TSMR takes the load. There are, of course, some design limitations. Helix can be used in suspended slabs over occupied areas if it only replaces the temperature shrinkage reinforcement and the shear steel in the concrete beam sections. 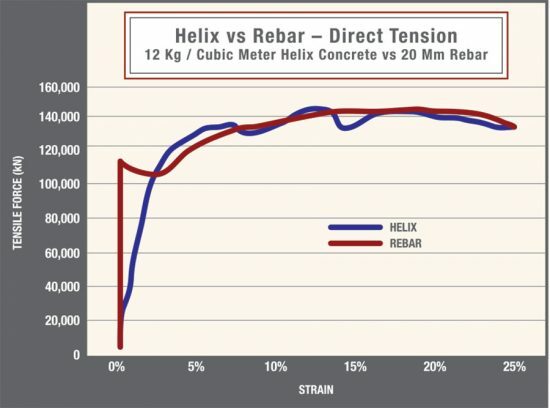 Flexural steel rebar in the supporting concrete beams cannot be replaced by Helix, but their number and size can potentially be reduced by a hybrid design that blends both rebar and Helix. For most projects, Helix is cost competitive with the rebar package that it’s being substituted for. 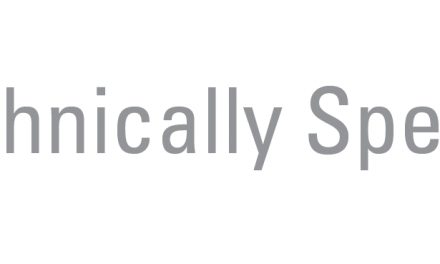 Polytorx will review plans at no charge to determine the appropriate dose rate of Helix micro rebar and provide a cost estimate for materials. Labor savings will vary depending on the complexity of the rebar design, but Helix does reduce the installation time on any ICF project. In commercial projects, the material and labor savings can be significant. Helix has been used successfully in a number of high profile ICF projects (see case studies below) as well as in pre-cast, tilt-up, shotcrete, slab, and footings. In lintels or concrete beams in EPS flooring systems, the shear stirrups can be eliminated or the spacing can be expanding to lower installation time and complexity. Helix also allows the designer to reduce the concrete topping slab thickness on these EPS floor systems down to two inches. A slab of this type was poured at LiteDeck headquarters. Thinner slabs reduce the weight of the floor system, and improve performance in seismic events. Thick concrete slabs in commercial applications can also be reduced in thickness with an increase in the Helix dose rate. A designer could also reduce the thickness of ICF walls using Helix. 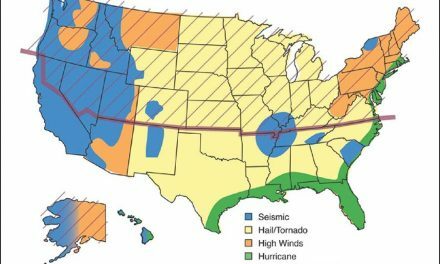 Typical eight-inch below-grade walls can go to six inches. 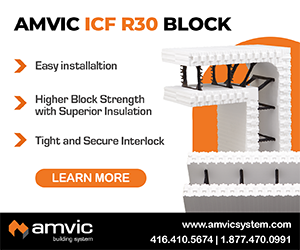 Above grade six- or eight-inch ICF walls could conceivably be reduced to four inches. The possibilities of four-inch-core walls is especially intriguing, as one major problem has always been the difficulty of achieving adequate consolidation in such a narrow cavity that’s inevitably stuffed with rebar. Replace the rebar with Helix, use a good reducer hose on the pumper and bingo: four-inch walls are easy to pour. Helix was developed to strengthen concrete structures in earthquake regions and to protect against explosions where concrete chunks are created (spalls) and cause significant damage. Recent blast testing in Texas by a Global Security Company was conducted that demonstrate the strength that Helix micro rebar gives to any concrete design. When subjected to blast testing, the Helix panel significantly outperformed the traditionally reinforced one. At left is the control panel, six inches thick, with two mats of #3 rebar at four inches on center. The panel at right has two mats of #3 rebar at 7.5 inches on center (50% less rebar than in the control) plus Helix at a rate of 50 lbs/cy. Both were subjected to an explosion of 10 pounds of military C4 at 15 inches from the surface. Helix has been used successfully on a number of large ICF projects in the past few years. 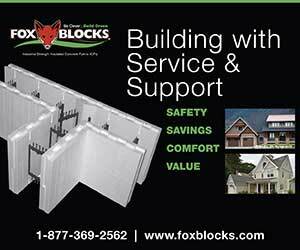 Two ICF projects underway in the Seattle area are using Helix. Puget Sound is in a high seismic zone, yet TSMR is being used to replace all field steel in the walls, in the footings and in the interior slabs and flat concrete roof of a five-story ICF townhouse. Eric Friedland, owner/developer of the project says, “Helix has simply saved me time and money and has given me reassurance that my multifamily building is incredibly strong and safe in earthquake country.” The other project, a large ICF residence on Mercer Island, Washington is similar in size and it is also using Helix micro rebar to replace the rebar in all the concrete elements (walls, floors and roof). 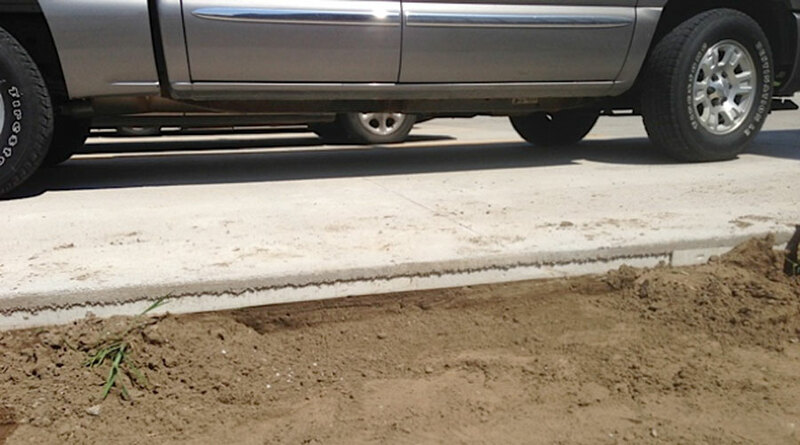 In Nebraska, at the LiteForm plant, a test parking slab was poured at only two inches thick over two inches of EPS foam. The concrete has 20 lbs/cy of Helix. To date, the slab has supported the staff’s cars and trucks with no issues and the EPS foam provides freeze protection to the soil under the slab. Steel fiber has also been used successfully on at least two major Arizona ICF projects, including the New Founder’s Hall at Xavier College featured on p. 22 of this issue. 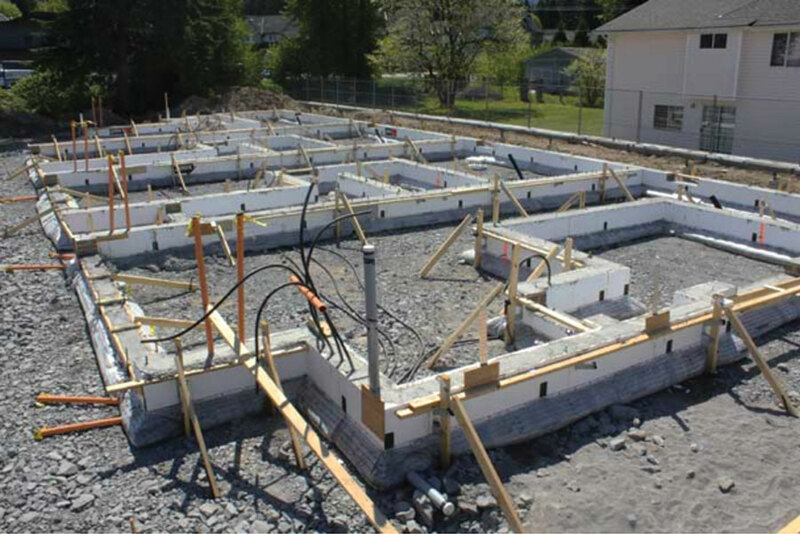 This ICF foundation and footing in Whistler, BC, was placed in a single 37-cubic-yard monopour using Helix and Fab-Form. Chuck, is the North America technical sales manager at Polytorx LLC. He can be reached at (425) 239 8760 or through the company website at www.Helixsteel.com. Additional technical information is available at that web address or in the October issue of ACI Concrete International Magazine.